Self-love is a major theme for 2018 and it’s no surprise. People are usually very busy living their lives and taking care of their loved ones that they tend to neglect themselves. We forget that our greatest love story should be with ourselves—take care of yourself and you’ll be rewarded; if you look good, you’ll feel great. 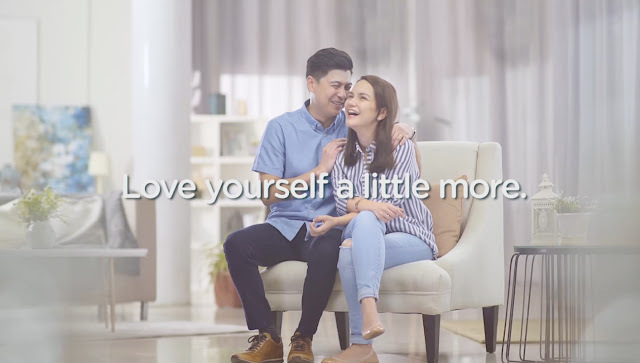 Glad to have companies like Watsons reminding us to give ourselves a little more love with its recently launched online video, http://bit.ly/WatsonsPH. Check it out and learn a thing or two about self-love. Self-love is a state of appreciation for yourself that is manifested through different means. Self-love involves taking care of yourself, not losing touch with who you are despite the stresses of everyday life. Taking care of your health, face, hair, and skin are some of the basic aspects of self-love because when you look good, you feel great. So what steps can you take to love yourself more and, in the process, feel great? 1. Be aware. It all starts with knowing who you are and what you can do. 2. Don’t procrastinate. So one of your New Year’s resolutions is to achieve glowing skin. Don’t wait until the year is over to have a realistic skin care routine based on proper cleansing, moisturizing and sun protection. 3. Be goal-oriented. Proper sleep, exercise, and good nutrition are only some of the steps you should take to achieve your goals. List down your goals and think carefully how you can achieve them. 4. Don’t be too hard on yourself. You’re not perfect; nobody is. If you are overweight, you can do something about it. If you look tired, there’s a reason for that. It’s not because you were born that way. 5. Realize that you’re not alone. So many people struggle with lack of time or will to take proper care of yourself. Watsons encourages people to love themselves more to look good and feel great.